Consumer Action uses various strategies to improve the lives of Victorian consumers and advance fairness in the marketplace, including undertaking public interest litigation, publishing legal information, advice and training to community workers, and financial counselling. All these services are directed towards advancing systemic legal and industry change by a dedicated Policy and Campaigns team with the aim of obtaining just outcomes for all consumers, particularly for vulnerable and disadvantaged consumers. This evaluation report provides an overview of a series of “Snapshot Evaluations” of Consumer Action’s consumer legal advice service. This service is dedicated to empowering consumers through minor advice and assistance, which allows consumers to self-advocate. 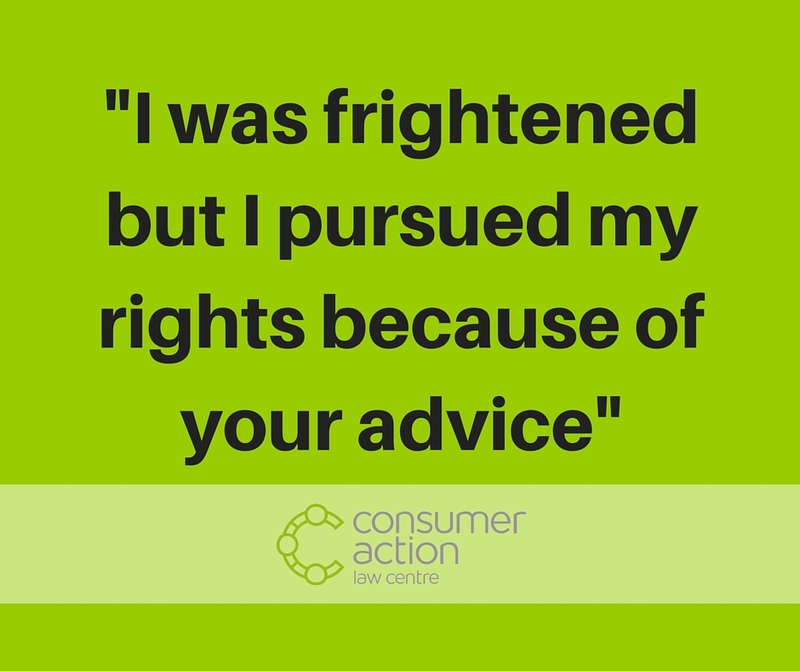 Since it was established, Consumer Action’s consumer legal advice service has spoken to thousands of Victorians. Lawyers staff the service and provide information and advice on a wide array of consumer issues, including defective goods and refunds, unsolicited sales, banking and credit, debt collection, insurance, and unfair contracts. This report also includes commentary about the ways in which Consumer Action reflects on its practice and constantly seeks to improve its services as it works towards its overall vision of ‘just outcomes, for and with consumers’.